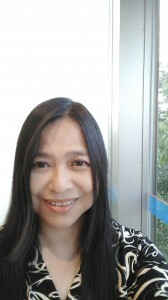 I am 50's + , Female , based in Kobe , Kyoto , Nara , Osaka , available on flexible , Sat , Sun , and speak English . Hello! I’m Kuniko Inoue. Call me Kunchan. I live in Toyonaka city, nothern part of Osaka prefecture. I had taught Japanese literature to students. So,I like traditional Japanese culture very much. Tea ceremony, wearing kimonoa, haiku, traditional cooking and so,on. If you are interest in them, I think I could explain uniquely. Let’s enjoy them together! And, I like singing jazz and musical song. what kind of music, do you like? Now I help my family’s small internal medicine clinic. To communicate with stuff and patient is hapiest time to me. I’m looking forward to seeing you, as a friendly guide!